Note that the Sardar in the pic doesn’t have any weapon or stones in his hands. He is a sitting duck for the blood-thirsty mob. What happened to him? If guys like Rajdeep, Barkha, Sagarika, Shekhar or Prabhu Chawla was only a threat to press freedom that wouldn’t be such a big danger. My earlier tagline for this blog was “Crooks and liars in the media are the greatest danger to Indian democracy”. Yes, they threaten our very democracy through their lies and misreporting and deliberate malice towards all communities except the Muslims. The more they protect Muslim crimes the more brazen the community gets. 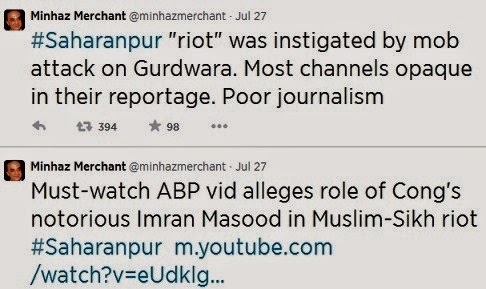 In the case of Saharanpur the Sikhs have been short changed by both the politicians and the media. Fortunately, unlike 1984, social media does not allow these sick media people to hide anymore. There is no place, no corner and no hole to hide. Their crimes are exposed day in and day out. Overnight Gaurav Sawant is a hero among people. Personally, I would prefer journos like him to get out of mafia houses and, along with our good journos, form a new channel. 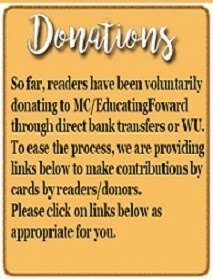 Money is always there for an honest cause. But that is not my decision to make. But it is heartening to see his courage and honesty. 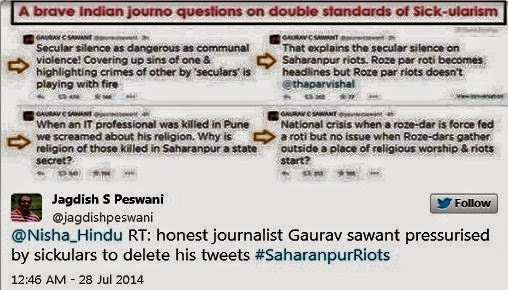 Gaurav Sawant deserves our applause and a salute. I hope he continues in the same vein without fear even if the crimes are by Hindus and not necessarily by Muslims or other communities. If we have to get past the nonsense of communal riots and violence we need journos to report it bluntly and not as stupid “group clashes”. That’s where the laws of reporting need change. That tweet is based on this report in the Tribune. The act of providing education and social service in Saharanpur cannot be disputed. And because a court verdict did not go in their favour, it is astonishing that the Muslim community attacked the very community which provides so much for its children. That’s the story our TV channels won’t tell you. But every terrible incident has its heroes. 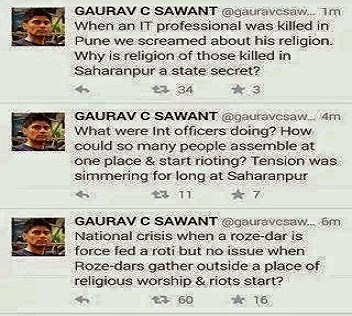 The Sardar facing the stone-pelting mob is a symbolic hero for his community and Gaurav Sawant is a true, game-changing hero in the media. We know who the villains are. No government (state/center/district) irrespective of political party is willing to impart high quality education which is the only solution to prevent complete societal collapse. These criminal politicians are well aware that once the population acquires critical thinking skills they will throw out these hate mongers. This article http://www.hindu.com/2007/04/07/stories/2007040722201600.htm no longer available. 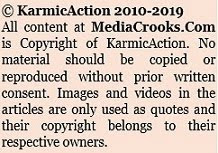 Best is what Ravinar (MediaCrooks) does is - retain a copy of it. Such so called MSM has very weak foundation & therefore spine and they retract the moment they know their design is deciphered. What do you mean by slow polarisation of the saffron brigade? 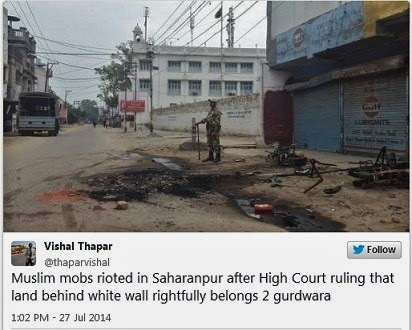 Do you mean to say that the Muslim rioters in Saharanpur are part of the saffron brigade? Or have you made it your life's ambition to blame saffron (whatever that means) for all acts of violence, no matter who the perpetrators and what the circumstances. It does not take very high quality education to understand that one should not riot. If the mind-set is such that you refuse to obey the law, no amount of education will help. Also, I have not done any surveys....but judging from social media, high quality education does nothing to stop hatred and crime. The 4 youth from Maharashtra who joined ISIS were from well-to-do houses and quite well educated. It is time to stop blaming poverty, education etc. and call a spade a spade. There are folks in the Muslim community who brainwash little children to hate other communities and do not teach tolerance at all. This needs to be reigned in. Also the false sense of victimhood the the community nurtures and the media feeds, needs to be removed. 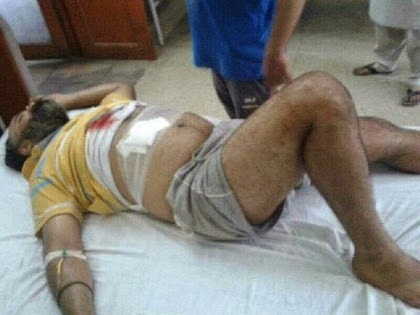 The injured Sikh is reported to be serious and let us pray for him. And media crook rightly suggest that there is a need for change in reporting about crimes of a community and no need of protection. 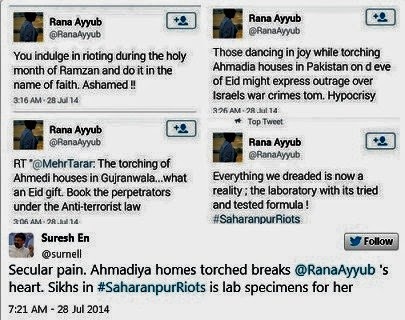 I have always observed that muslims are riot initiator. Indian media and CONgress has done greatest disservice to the nation by following wrong vote bank politics and Sickularism encouraged Muslims demanding minority rights where they no longer a minority. - Stating blunt truths like riot happy muslims and government and media pampering and encouraging them. - Courage to recognize and appreciate the brave act of a journalist (Gaurav Sawant) that act as a morale booster to other unsung brave journos. This article is also a vindication of the TRUTH of the title of your book "Social Media as a Watchdog". I would like to know what has happened to the data collected in the 2011 census.It is 3yrs since the excercise was completed and the results have not seen the daylight. Considering that a pseudo secular govt was in power, i guess there is something very disturbing in the data that might upset the pseudo secular apple cart. I am also not aware of the NDA govt's stand on bringing this census report into public domain. There is definitely something very macabre to hide, the BJP with RSS initiative should reveal Census2011, immediately. 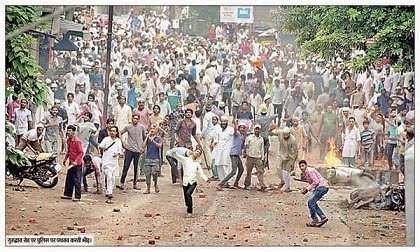 This riot, is an extremely tragic way that a mirror has been shown to India and its media. The reactions of the Sikhs and the Muslims have highlighted the difference between the two communities. The Sikhs...fewer in number, victims of this riot, have been extremely courageous and faced the mob. The riots have caused death and untold misery to them. Yet, they have not whined. I am sure, the folks who have lost everything, will rebuilt their lives and in doing so, will not even lose their spirit, which is known for generosity and courage. The Muslim rioters on the other hand and their cronies in the media have tried to blame everyone and everything but themselves. I also don't think that this disease can be cured easily. We see the exact same victimhood from the likes of Shahrukh Khan, who would be one of the most privileged persons in India. The only way to prevent such barbaric acts in the future, is to ensure tight policing and quick punishment for such hate crimes. The only way that rioter (from any community) will stop rioting is if they are sure, it will not be tolerated...they will be arrested and punished. Their crimes will not be covered up by the media and encouraged by their cronies in the press. Its about time for a channel talking the other side. Sort of Fox news in USA. The fact that he deleted his tweet under pressure shows that he is a pliable individual.Has he no spine to stand on his convictions.? I would have supported his cause had he not succumbed to pressure.Food for thought for those who are fighting his cause.These are morons who will change according to the direction of the wind. While you are entitled to your opinion I do believe you are looking through the telescope through the wrong end. In management there is a principle: It is better to dare to make a mistake and apologise than to make none at all. In this case GS did not make any mistake. What would you have done if you were in his shoes? Would you sacrifice your job over a few tweets? That is what GS was threatened with. It is silly to give up a job over a few tweets. It is better to stay and fight another battle or to find a new space for that battle. Secondly, GS was wise to delete his tweets knowing well that it is already in the "market" of Twitter and wont get erased. So he has basically done his job of putting his message out. What the deletion has done is give it more publicity than it would otherwise have. Its called the "Streisand effect". What it has also done is that it has brought out all the hypocrites in the media and politics by the deletion. The other thing GS has done is that he has opened the door to the fact publicly that not all journos subscribe to the "sickular" way of reporting. In his circumstances, I would prefer that he deleted and not lost his job. He may have a family to support. Courage is withdrawing temporarily to stay and fight another battle. Merely calling him "spineless" out of a misplaced self-righteous sense of valour is not the right thing to do. Exactly...this is like Shivaji apologising to Aurangzeb when he was in Agra and in Aurangzeb's power...He would only have got himself killed by showing false pride and refusing to bend. He apologised and lived another day to renew the fight and win. GS did just that. Nothing in his subsequent tweets suggests that GS has either changed his opinion or regretted tweeting his questions. 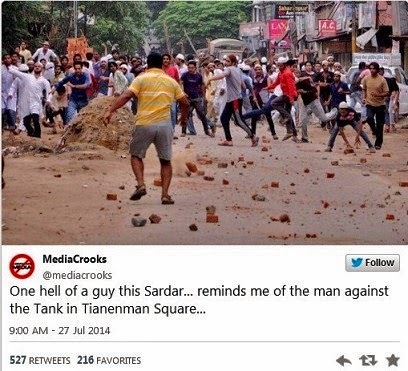 My Salute to Saharanpur's own Sardar Tara Singh who stood against the entire muslim Mob just like in film Gadar. Real Gutsy. Wahe Guruji da khalsa Wahe guruji ki fateh. Kudos to you and your likes. @Ravinar, I respect ur view as an alternate thought process. The reason I raised this issue was also thanks to our treacherous media. In debates when a member makes an unsavoury remark or uses unparliamentary language, he is offered a chance to withdraw it. 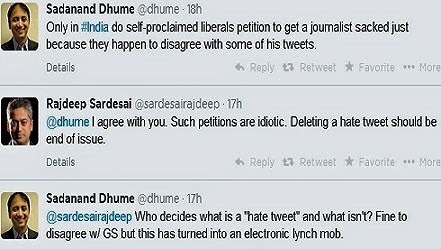 ( How a spoken word can be withdrawn is something that passes over my head).If he was asked to apologise I would not mind.Once he withdraws it, the affected party is happy as if it was an apology.This is the culture in our media discourse.So the public will view this withdrawal of a tweet as atonement for GS 'crime'. I do agree that the message hits the target the same way as media making headlines with motivated news and then issueing an apology on a column centimeter on the last page. And I once again attribute to ineffective, incompetent, clueless ministerial colleagues of Narendra Modi. The more they are around, the more vulnerable BJP becomes. we have to endure these crooks of media because these have not been reigned in . For me Modi winning so comfortably in 2014 is a quasi miracle. Ideally BJP should consolidate from here , but that may not happen . The next elections ( assembly ) should have been a cakewalk for BJP ( but basis the noise emanating in the mainstream media it may not turn out to be easy - with oppositions colluding, conniving, joining forces and media continuing to peddle lies and hide truth) . The fact that someone is exposing the hypocrisy of the mainstream media and is now being publicly scuttled/quitened - is reflection of a very shoddy state of affairs. The good thing is that atleast this happenned ( someone stood up), but the bad thing is the media is shameless and continues to be unrepentent. And one cannot be positive, hopeful and look forward to greatness ( growth , prosperity ) with such a lot of mediocrity and incompetence floating around. Besides the markets tanking today, rupee has breached 61 to a $ .. Hmm..
MSM has only one agenda..remove NAMO by hook or crook...because in NAMO's scheme of things these news traders have no place...no free foreign junkets along with PM....But as you have correctly suggested the need of the hour is a channel to counter these media crooks. These are the last days of such darbaris of Delhi.Modi/BJP/RSS/Hindus don't need them.Post 1947 India has come a long way and has come long way in spite of these crooks and will go a long way without them.SM and vernacular press have come as saviours for Hindus.Otherwise these crooks would have sold India to the highest bidders. Ravi you are a true rockstar!!! Love the way you articulate the thought so many of would have had and then back it up with data/research!!! Love your work...keep up the great job...RESPECT!!! Muslims attacked a community which did so much for Muslim children. We have come a long way in our belief about Muslims. I remember "Kabuliwala" days in school where we learned a Pathan, a Muslim would never forget even a small favor done to him. In fact, grateful Muslim even put his life on line if you did him a favor. Look what we have today. minute 26-27, dr.abraham says mother teresa converted hindus to good hindus, muslims to good muslims. so for him all hindus/muslims are evil.